An avid knitter/crocheter's attempt to make pretty much everything in her life relate to one or the other. for the foreseeable future. 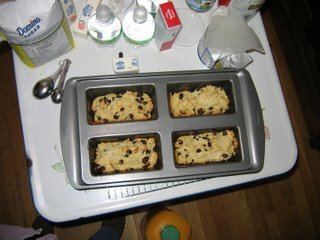 I made 6 dozen chocolate chip cookies last night and they are already gone, along with 4 mini loaves of soda bread, and three trays of brownies. I can't cook worth a damn, but I know how to bake, and there are several groups of folks who look forward to a visit from my brownies on a yearly basis, and I hate to disappoint. And this year the kid is actually a help in the kitchen rather than a hindrance, so that part is fun. We have peanut butter cookie dough cooling in the fridge even as we speak. 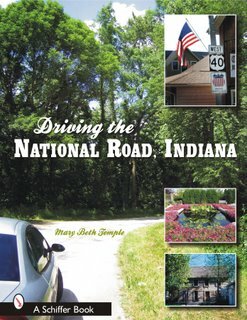 For those of you who were nice enough to ask if the Indiana book is actually in Indiana yet, I suspect it isn't. There is a shipment on the way to the Richmond/Wayne County Convention and Tourism Bureau that I know about, but while many other businesses have expressed interest in carrying it, I don't think anyone has copies yet - they have just placed orders. 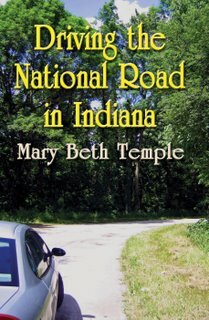 You can get it through Amazon.com already, and the Indiana National Road Association will put it up for sale on their web site in the middle of January which is great - they could use the money! I suspect things will pick up after the first of the year. On the knitting front, I have a group of samples in review at a magazine group I have never designed for before so I am feeling hopeful there. And I am hard at work on the Highland Shawl from Folk Shawls. It has a booger in it (my shawl, not the pattern) but I am way too far past it to frog, and I am hoping for the magic of blocking to help things along. I may be in the old age home by the time I finish it, but I am really enjoying the pattern and the yarn (Zephyr, in Cinnabar, held double). 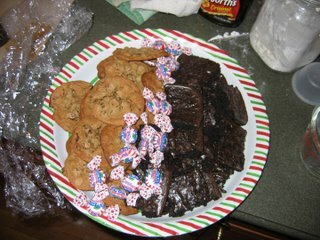 Off to check on the cookie dough - happy winter madness all! Driving the National Road in Indiana has rolled off the printer and is an actual paperback book now. Amen! I wrote it a while back and for various and sundry reasons wound up self-publishing. I have new respect for page designers and copy editors, and that's all I have to say about that. 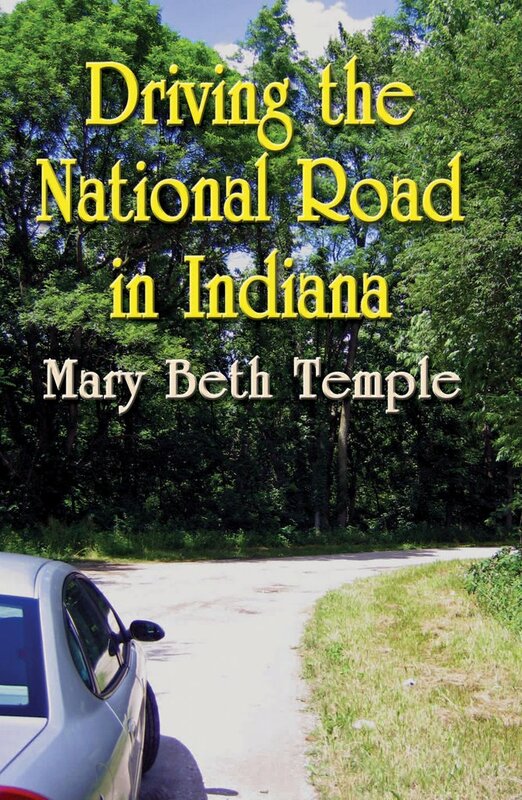 Check it out if you are into Indiana or transportation history. but the sad fact of the matter is that my camera is still missing, and the Soysilk socks had to go bye-bye, so they are in the mail and I have no more pictures. I am sorry, truly I am, but I just ain't got new camera money in the budget right now. Please forgive me and don't stop reading. 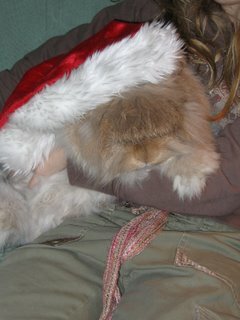 Maybe Santa will bring me a camera. Or now that it is too late to make a difference, the old one will show up! just lost the darn camera! I know you guys are panting for sock yarn photos, but my digital camera has gone AWOL and it is driving me mad. I will keep looking, but I have to mail the socks in to SWTC tomorrow to make my deadline so sadly, I can't make any promises. The kid and I went to Hershey Park on Saturday for their Christmas themed event and had a great time, as always - we go every year. Back in the early 80s I worked there in the entertainment department, so I always wax a bit nostalgic for my mis-spent youth while we are there. I just realized I am doing no holiday knitting this year - none. I guess anyone I had a burning desire to knit for I took care of last year! Of course the Kid is hinting for some knitwear so after I get the sock pattern mailed off I will go stash diving and see if anything calls my name for her. Mama Alpaca has whipped out more than 10 hats for Caps to the Capital - way cool for someone who hadn't knit in ten or more years. She has been getting creative with the oddballs I sent her and I have seen some cool color combinations come along. Off to interview the Crochet Dude for an article I am writing for Yarn Market News. That's the part of my job I love - chatting up your friends and calling it work. First crochet pattern in the wild! This is one of the last patterns that I sold this summer (when I still had time to swatch!) but the first one to make it into print. I love the vagaries of publishing, really I do. This pattern was done for Plymouth Yarn, in their new raw silk yarn called Shire. The pattern is a stand alone leaflet, and is available at yarn stores than carry the yarn (and I hear a rumor it will also show up in a magazine next year, but I don't know which one or when!). It is done in an overall shell pattern, with scalloped trim on the hem, sleeve hems and neckline. It worked up very quickly, and I liked the yarn quite a bit. I also think they did a lovely job at the photo shoot - isn't that a nice photo? I have been working away on the socks for SWTC but can't figure out where I put the digital camera, so you will have to wait another day or two for photographic evidence. Off to work on the knitting book. I had a long drive back from visiting family on Sunday and started figuring out how much time I had left to write how many words. I was feeling pretty okay about things (although I am not as far along as I would have liked) until I started figuring in the log home book. Now I am in a dead bloody panic. So I have switched to decaf and am going to soldier on and not look at the calendar.